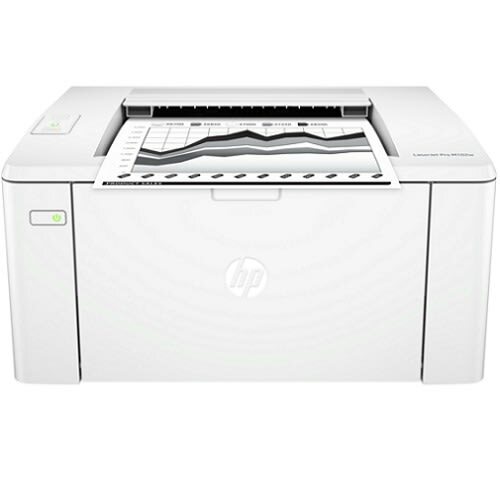 Keep things simple with an affordable HP LaserJet Pro 102W powered by Jet-Intelligence Toner cartridges. Produce professional documents from a range of mobile devices and help save energy with a compact laser printer designed for efficiency. Wait less with an HP LaserJet Pro that prints faster than its predecessor—up to 23 pages per minute. Print with the ease of sending an email, right from a smart-phone, tablet, or notebook, using HP ePrint. Send jobs from your smart-phone, tablet, or PC to any company printer, using Google Cloud Print™ 2.0. Track toner levels with print gauge technology—produce the most prints possible and get what you paid for.